Bangalore-based Roppen Transportation Services Pvt Ltd, which owns and operates a platform linking users to local mini-truck service providers under the brand theKarrier, has raised Rs 1.5 crore ($240,000) in a seed round of funding led by early stage investment firm Sol Primero, the company said on Thursday. OutBox Ventures and Nikunj Jain, founder of Frankly.me, also participated in the round. The firm will use the money to expand operations to five cities by the end of this year. Founded in December 2014 by IIT & PESIT graduates Aravind Sanka, Pavan Guntupalli and Rishikesh Ramanath, it is currently focused on intra-city light goods transport. The company currently has 300 vehicles in its network (it doesn't own the vehicles but links users to owners) and claims to be handling close to 1,000 orders per month. It expects a 70 per cent month-on-month growth. 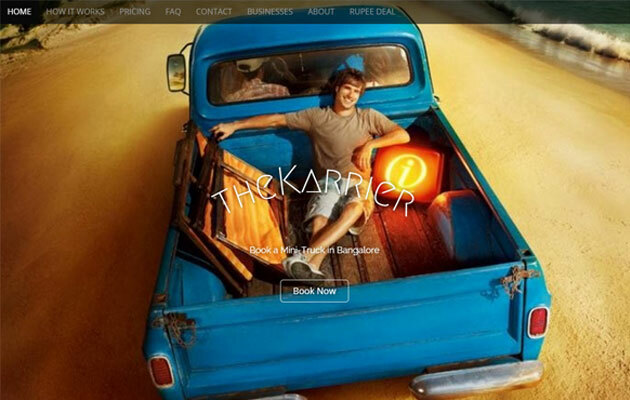 theKarrier currently has 20 full-time employees and plans to add more people for business development and technology functions. Currently, the company has 25 clients including the likes of e-commerce-focused logistics firm Delhivery and e-commerce major Flipkart. The bookings are done both via its web interface and mobile app, which also allows live tracking of the vehicle. According to the company, the last mile delivery segment is estimated to have a market size of $10-12 billion and the startup aims to make intra-city logistics space for trucks more organised. The sector currently is highly fragmented with almost 85 per cent of the market made up of individual truck owners who have 1-3 trucks. "The primary pain point in this segment is getting the right vehicle at the right time, place and price. The technology that has been developed by us acts as a major differentiator to tackle this challenge. Furthermore, we are focused on improving the vehicle utilisation and providing exceptional professional services at affordable prices," said theKarrier co-founder Sanka. "Sol Primero has an interesting portfolio in the transportation segment and we look forward to working with them and our other investors in order to take theKarrier to the next level," he added. The company competes with the likes of city-based Blowhorn which raised an undisclosed amount of funding from impact investor Unitus Seed Fund, with participation from Tim Draper, founder and managing partner of Draper Associates.